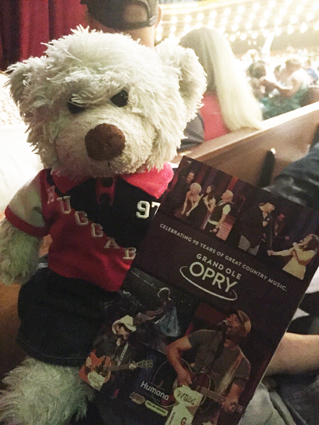 First stop on our USA Holiday 2016 was Nashville, home of Country Music (and one of my favourite TV shows)!. 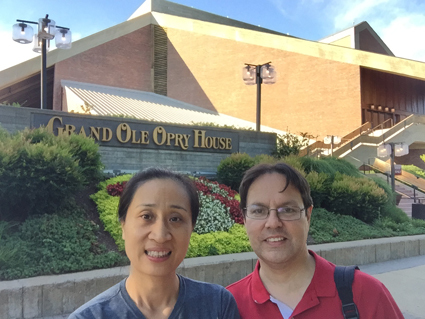 Of course, no stay in Nashville is complete without a visit to the Grand Ole Opry House and the show that made Country Music famous! The main part of the holiday was always intended to be the cruise, and so July 2nd saw us boarding 'Oasis of the Seas', our home for the week. Oasis of the Seas is one of the world's largest cruise liners, operated by Royal Caribbean International, and the first set of pics simply gives an idea of the ship's facilities. Apart from rooms for approximately 6000 passengers and over 2000 crew, the ship offers seven 'neighbourhoods' for guest enjoyment. These are: Central Park, with boutique shops and restaurants, a bar that can be raised or lowered over three decks, and a living park with over 12,000 plants and 56 trees; Pool and Sports Zone, with sloped-entry pools, hot-tubs, surf simulators, a mini-golf course, zip line, and table tennis facilities; Vitality at Sea, with a large spa and gym with over 150 cardio and resistance machines, as well as a jogging track around the full ship; Boardwalk, with a carousel, bars and restaurants, rock-climbing walls and a 750 outdoor AquaTheatre for diving shows; Royal Promenade, featuring shops and restaurants, bingo hall, and even a branch of Starbucks; Youth Zone providing science lab and computer gaming plus events and activities for youths of all ages; and Entertainment Place, featuring the main cinema, an ice-skating rink, nightclubs, casino and smaller venues for jazz and comedy performances. You'll already spot we went to the ice-skating show! Cruises are well known for their food, and this cruise was no exception - with three main dining rooms providing the dress-up 'high class' food, and at least seven other venues offering 24-7 free snacks such as hotdogs, cakes and ice-cream. Personally, I was not so impressed by the food on this cruise as I was on our Norway cruise, but that may simply have been because it wasn't new. Certainly we had no problem finding plenty to eat, as the following gallery will demonstrate - it has to be remembered that this report only takes us one day into the cruise! The reason for this cruise, however, was for the concert. I have been a long time fan of Michael W Smith, and have been interested in joining one of his cruises for some time. What this effectively means is as well as all the normal cruise activities, every day there is also a concert with Michael W Smith or one of his friends. 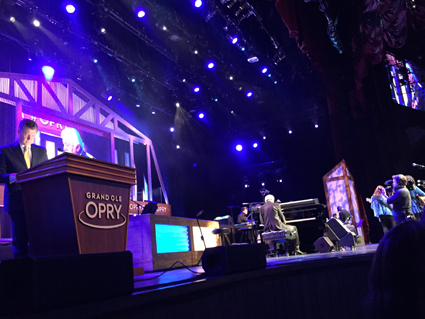 On this cruise, the line up was Michael as main concert singer and worship leader, Laura Story, best known for the worship song, "Indescribable", Pastor Jack Graham doing the preaching, Oliver North talking about leadership, and Mark Lowrie, singer and comedian best known for years will Bill Gaither. 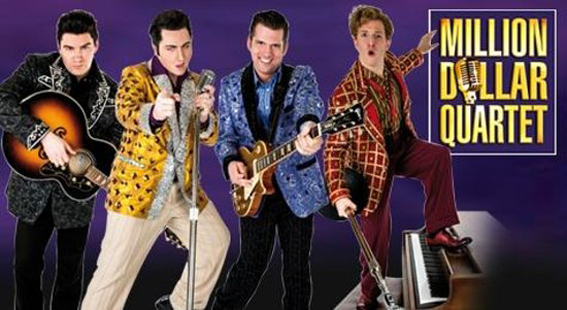 You'll see them in the pics below (on the stage of Cats!) and you'll see us meeting Michael W at a signing!. There you go - more from the cruise in the next few reports! The second day was also a sea day - so in the pics below you'll see some more of the shop, another concert with Michael W Smith, and more great food! There is certainly no time to get bored. Day three was a port day as we arrived at Saint Martin (French name) or Sint Maarten (Dutch name). The 87-square-kilometre island is divided roughly 60/40 between France and the Netherlands, but with almost equal populations. It is the smallest inhabited island divided between two nations. The division dates to 1648. The ship moored at Phillipsburg, the Capital of the Dutch section, but we had a shore excursion that took us over to Marigot by bus, and then returned by boat. The following pics were taken mainly in Phillipsburg. Back on board, there was time for a game of golf, another meeting (this time Laura Story and Oliver North), good food, and one of the ships headline shows, an acapella group called The Edge Effect. As I said earlier - no time to get bored on a cruise! Day 4 saw us docked at San Juan, capital city of the Commonwealth of Puerto Rico. Whilst it is now a territory of the United States, it is still not recognised as a state, and while Puerto Ricans are natural born citizens of the US, the country has no vote in Congress. Originially populated by the indigenous Taino people, the island was claimed by Christopher Columbus in 1493. It has survived invasion attempts by the French, Dutch and British, and it was in the forts that we spent most of the day, before a leisurely walk through the town and back to the ship. After a full day out, there was not that much time left in the evening, but, busy as always, we took in a concert with Michael W Smith, grabbed some food, and saw another of the ship's shows. Life is fun! So, there you have the first of the Vegas reports – hope you enjoyed it! There are a few more photos on the website from the US tour – just head towww.mrhughes.net and choose reports, and then USA 2016 – or have a look at some of the travel and show blogs! Two more daytrips in this report! The first was actually just an evening trip – a sunset ride with barbecue. We were picked up at the hotel and driven out to Red Rock, the edge of the desert, where we mounted up and followed a trek through the scruffland as day turned to night. It ended with perhaps the best food of the whole trip – absolutely scrummy steak, potato and salad with beans etc – and huge portions too – this plate is after Shanhong stole half!. This was probably my favourite trip from Las Vegas. The last photos are from the company website. Unfortunately, although we remembered sun cream for face/arms etc – I appear to have missed it on my legs. The result of 7 hours on water in 42 degrees sun was sunburn like I’ve never had it before – shivers, pain, and then the best blisters ever! You get an idea from these two photos. So kids, when mum says put suncream on, do it!! It has taken me a while to get around to writing these reports – but you will be aware that we spent the summer of 2011 in the US. I spent the first week doing a course at the Principals’ Training Centre on Technology Leadership in the International School while Shanhong enjoyed a lazy time in our beautiful hotel room and walking around this part of Miami.